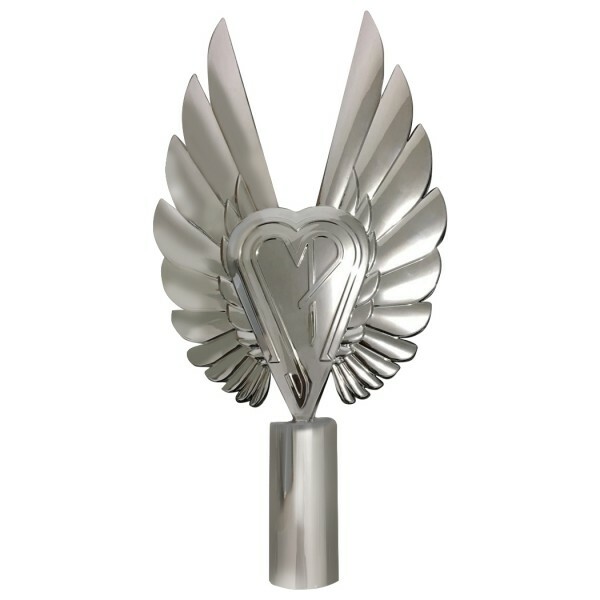 The Smashing Pumpkins Winged SP Heart Tree Topper! Limited edition, 12” shiny acrylic tree topper with a hollow stem. You'll have the Shiniest And Oh So Brightest tree on the block.